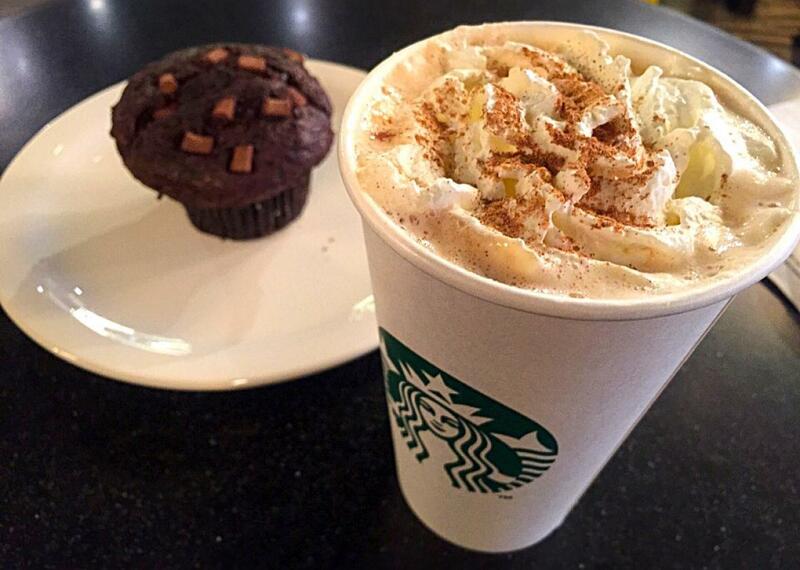 Pumpkin spice latte: How did Starbucks initially market the fall favorite? How Did Starbucks Initially Market the Pumpkin Spice Latte? The pumpkin spice latte was originally featured on in-store signage (the banner, posters, counter cards) and was sampled in-store at the point of sale (as well as walked around the café on a tray by a barista). The fact that it was a limited-time flavor made it more attractive to customers and kept it special. This is the same we found with the eggnog latte, gingerbread latte, and peppermint mocha for the holiday season. The pumpkin spice latte was launched at Starbucks in 2003. It was rolled out as part of the fall promotional campaign that runs from the beginning of September until mid-November, when the holiday promotion begins. We had a lot of success with holiday seasonal beverages, so the decision was made to figure out what espresso-based beverage could be featured in the fall. They tried different flavors—I remember white chocolate mocha was the featured flavor in 2001. Pumpkin spice made sense because it is a flavor of the autumn season. The year before the pumpkin spice latte launched, the promotion during the fall was for Tazo chai latte—not that far a stretch from chai spice to a pumpkin flavor. While every product manager wants his or her creation to be popular, no one anticipated how popular the drink would be. It is tasty and sweet, and—I think—it has helped contribute to the pumpkin-flavored everything we see during, October, and November in the U.S.
Marketing: What are some amazing marketing success stories? Starbucks: What is the most expensive single drink one can order at Starbucks? Pumpkin spice lattes: What lessons can startups learn from the Pumpkin Spice Latte frenzy that occurs every year?